Why hTc 820 dual sim support 4G but hTc desire 820G+ doesn't support 4G?? Today I upgraded from HTC 820 dual sim mobile to Android 6.0 from 5.0. This was the system update. The upgrade was successful. After the upgrade the mobile display is not working. It is completely blank. I am able to hear the ringtone when someone calls. This is really strange. I am not able to switch off or on the mobile. I have un doubt between the HTC Desire 820 and the Alcatel Idol 3 5.5. I'm particularly interested in the quality and rapidity of web navigation, photos and some games... Your opinion about it ?? I am using HTC desire 820 dual SIM since last Nov 2014 and was very happy with its performance and reliability.Till date no hanging issue other than at the time of updating lollipop but it was just for half hours as it back to normal once all services and applications updated .. just now updated with 2.10.720.5 software version and running smoothly the only issue is HTC is somewhat lagging in providing updates. Battery backup increased by almost 3 hours after lollipop updates resulting into total 15 hours on moderate use. Phone is not gud. It starts hanging with in month & contact stops visible in phone. Service center is even pathetic & no once cares to resolve the issue. I have battry issue with htc desire 820 .... can anybody tell me the original charger's impair? ????? It can charge very very slowly take almost 2 days to charge full 100% battry. . Please any body tell me what is it???? freedom of expression!! !Good luck HTC,gsmArena and all. Sachin, 14 Sep 2015I wan by DESIRE 820 Which one is suggestible 820 or 820G+? I know that 820G+ means dual sim, ... moreYes, you can go for, HTC 820, since its better than HTC 820G+. 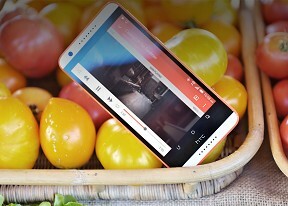 It has better performance and also Qualcomm MSM8939 Snapdragon 615 is best processor that comes in 820.
ajay kulkarni, 29 Jun 2015is there anybody knows about Lolly pop 5 upgrade?i am happy to inform all that HTC 820 handset is upgraded to lollipop5 great ,thanks to HTC people they heard my request. I have updated my 820 dual sim yesterday to lollipop yesterday. It initially got hang, but after u open all settings once it becomes normal. No major change because it is not updated to htc sense 7.0 UI. Tried to install outside play store but it failed. Expecting an update after 20th October. Sachin, 14 Sep 2015I wan by DESIRE 820 Which one is suggestible 820 or 820G+? I know that 820G+ means dual sim, ... moreHTC 820 has 2 gb ram while HTC 820 G+ has 1gb of ram the former has been discontinued by HTC and introduced plus obliviously HTC 820 is much better.